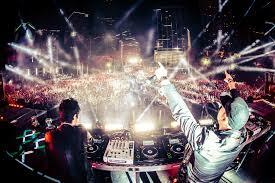 Video: Knife Party - "LRAD"
Everybody needs a little house/party music on a Friday and that's where Australian duo Knife Party come in with their new video for "LRAD." This tune is off their Haunted House EP and is full on club anthem. The video is pretty wild and showcases everything from Politicians to the power of a lot of bass, Watch it below.